In news that will delight Doctor Who fans everywhere, the latest release in the Time Trips series brings the Doctor and Jo to Australia! 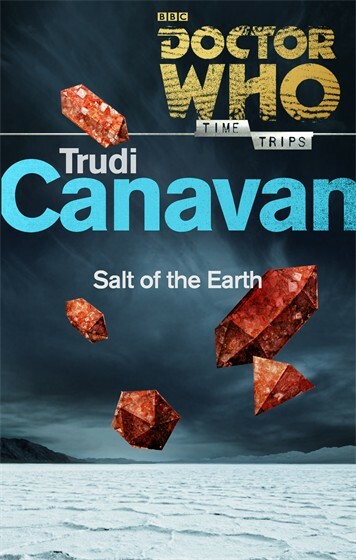 Written by one of Australia’s most successful authors, SuperNOVA member Trudi Canavan, Salt of the Earth brings a very Australian touch to the greatest sci fi series ever made. The Third Doctor and Jo Grant arrive for a well-deserved holiday of sun and ‘blokarting’ on a salt lake in Australia in 2028. Weird sculptures adorn the landscape – statues carved from the salt. People have been leaving them in the salt lakes for years – but these look different. Grotesque, distorted figures twisted in pain. They don’t last long in the rain and the wind, but they’re just made of salt… Aren’t they? The ToC for the latest issue of Galaxy’s Edge, edited by Mike Resnick, has been released and contains one of our very own SuperNOVArians. Congratulations to Steve Cameron on his first pro sale, certainly only the first of many more to come. You can read Steve’s story (and stories from a host of other great writers) for free on their site.